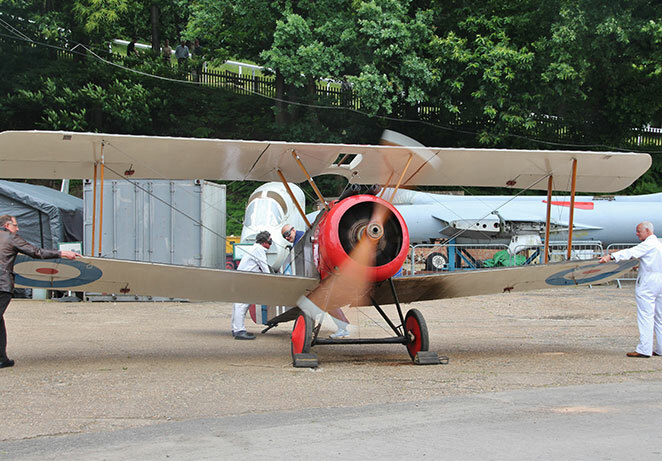 In 1915 Vickers started manufacturing aircraft at Brooklands and progressively extended their premises with the growing demand from military contracts. Women increasingly replaced the men in the factory who had been called away for war. The first true Vickers fighter to go into production at Brooklands was the Gunbus, the world’s first aircraft specifically designed to mount a machine gun. This was followed by the twin-engined Vimy, a long range bomber. Alongside Vickers’ production, the output of the Sopwith Aviation Company was even more prolific. Besides a large number of prototypes, numerous Camels, Snipes, Pups and Triplanes came off the production lines in nearby Kingston and were all test flown and delivered from Brooklands. Vickers and Sopwith, together with the Martinsyde and Bleriot companies who also had factories close to Brooklands, supplied the British air forces with most of the aircraft which won air superiority over the Western Front. When war began again in September 1939, the Vickers-Armstrongs and Hawker aircraft companies had exclusive use of the Brooklands site for military aircraft production. The Wellington was one of the world’s most advanced bomber aircraft at the start of World War Two and bore the brunt of the Allied bomber offensive in the early 1940s. 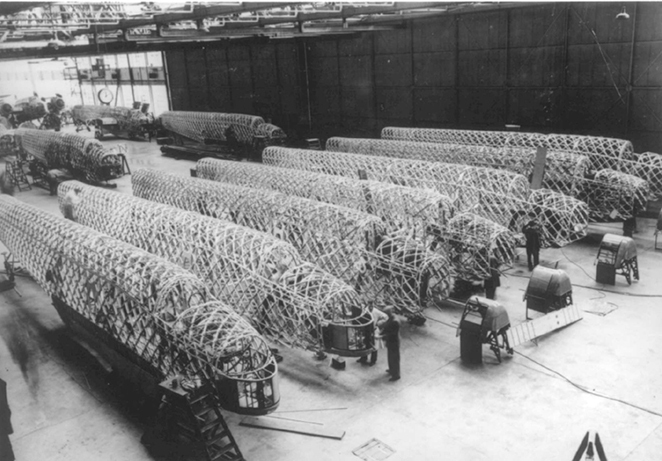 Of 11,461 Wellingtons built by Vickers by 1943, 2,515 were built at Brooklands – one fifth of the total number. All 18 variants were developed and test flown here too. Throughout the war, Wellingtons performed an extraordinary variety of roles and the type was Britain’s most numerous and successful twin-engined bomber of that conflict serving throughout the RAF. In September 1985 Wellington ‘R for Robert’ was recovered from Loch Ness, having ditched there during a training flight in 1940, and returned to Brooklands where it has since been meticulously restored. Britain’s most successful fighter aircraft of this era was the Hawker Hurricane, designed by Sydney Camm at nearby Kingston. It was assembled and first flown in prototype form at Brooklands in November 1935. Altogether, 3,012 Hurricanes were produced at Brooklands – one fifth of the total built. When the Battle of Britain was fought in the summer of 1940, it was due to the tremendous production and test flying effort at Brooklands and other factories, and to the skills of the RAF pilots, that the Hurricane became the chief victor of this decisive engagement. At the time, Hurricanes equipped no less than two-thirds of RAF single fighter squadrons. By the end of the war Brooklands had produced and flown a total of 5,748 military aircraft through the Hawker and Vickers companies, but the Track had been damaged by German bombing and war-time camouflage, defences and the construction of temporary buildings. 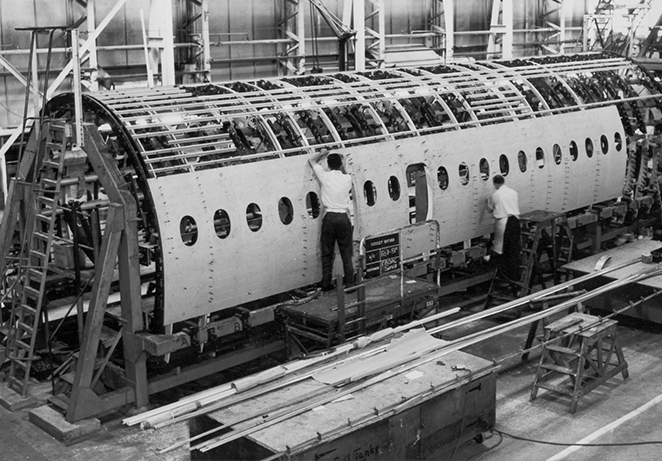 In 1946 Vickers purchased the entire site for £330,000 and proceeded to design and build a new range of civil and military aircraft at Brooklands, including Britain’s first post-war airliner, the Vickers Viking. The Viscount was the most successful British civil airliner and the prototype was first flown from nearby Wisley in 1948. In total 444 Viscounts were built at Brooklands and Bournemouth before production ended in 1964. 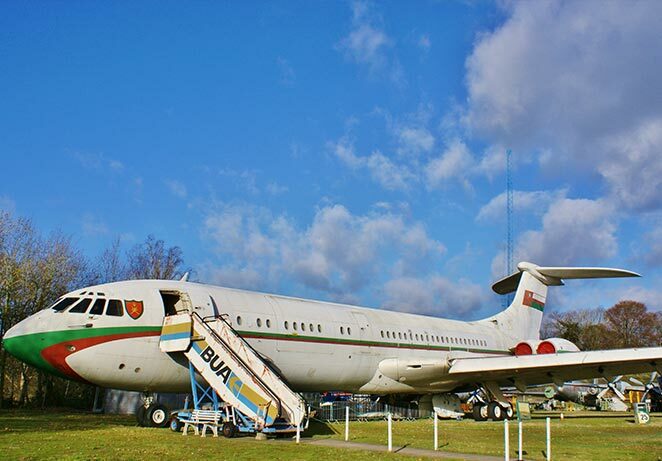 Following the success of the Viscount, the Vanguard was first flown from Brooklands in 1959 and in 1962 Brooklands entered the jet age with the first flight of the prototype VC10 airliner. Most of the factory workforce turned out to witness this event and all 53 production VC10s were flown out of Brooklands for completion and test flying at Wisely. In 1960 Vickers-Armstrongs became part of the newly formed British Aircraft Corporation (BAC) with its headquarters at Brooklands. 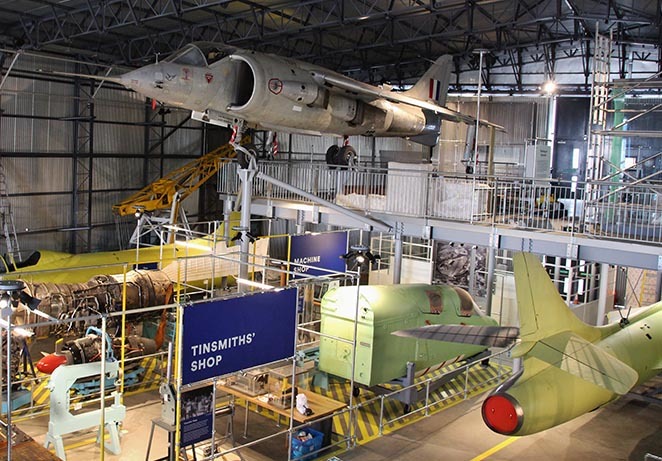 Work continued on such aircraft as the TSR2, designed in the climate of the Cold War but cancelled in 1965, and the One-Eleven which coincided with the rise in package holidays in the 1960s and '70s. 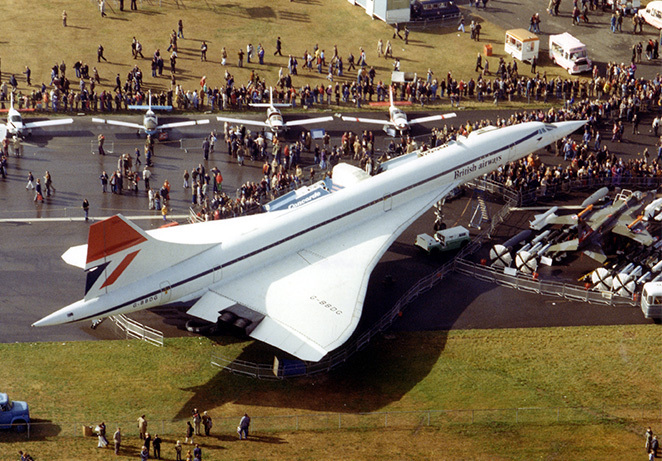 In 1969 the world’s first supersonic passenger aircraft made its inaugural test flight at Toulouse but it was at Brooklands that the first preliminary design meeting was held in Chairman Sir George Edwards’ office and more of Concorde was built at Brooklands than at any other manufacturing site. 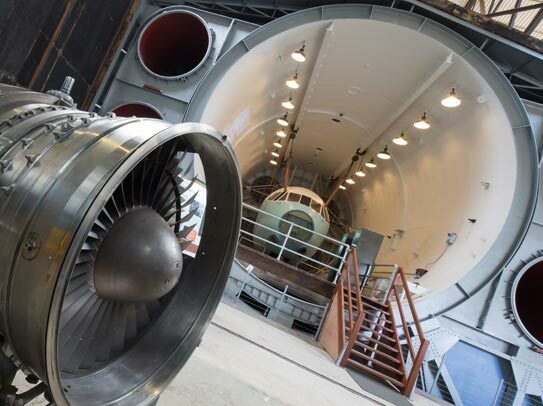 In 1977, British Aerospace was formed by the merger of BAC with Hawker Siddeley Aviation but the factory at Brooklands was already contracting in size and no longer built complete aircraft. In July 1986, the factory’s closure was announced and demolition took place in 1989-90. The Heights business park and a new housing estate occupy the site of the British Aerospace East Works today.